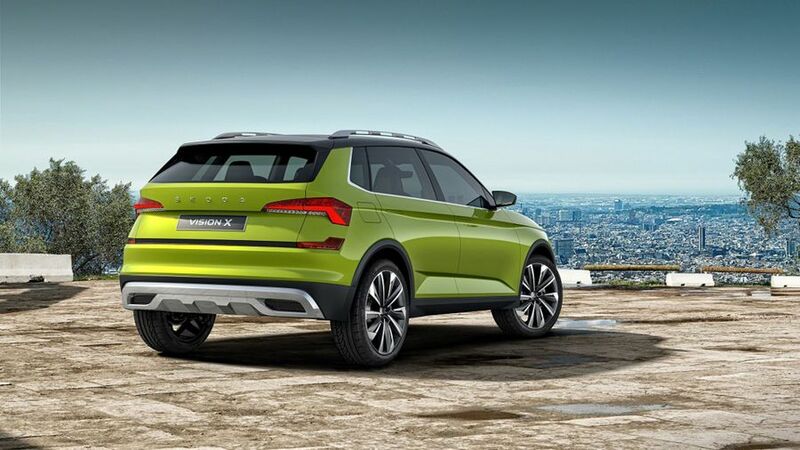 Skoda has previewed the look of a small SUV in the form of the Vision X concept that is on the brand’s stand at the 2018 Geneva Motor Show. 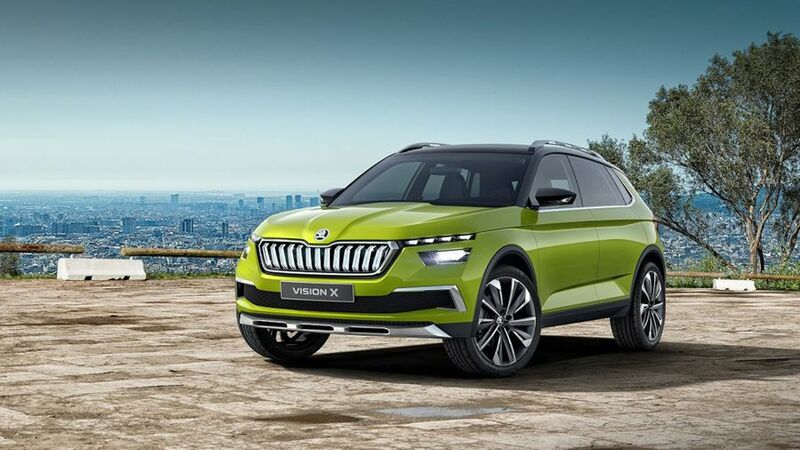 The Vision X gives a strong indication as to how the third and smallest SUV in the Skoda range will look, but it also previews a clever new hybrid engine. The car comes with a 1.5-litre engine that is powered by a combination of CNG (compressed natural gas) and petrol, and an electric motor. The result is an official CO2 rating of just 89g/km. It offers a four-wheel drive system, with the petrol engine driving the front wheels, while the electric motor powers the rear axle. It is a so-called mild hybrid, as it doesn’t plug in, but the concept is capable of driving for 1.24 miles on electric power alone. It has a 0-62mph time of 9.3secs, a top speed of 125mph, and a total range of 400 miles. The looks give a strong indication to the appearance of the as-yet-unnamed small SUV, with similar features to the larger Karoq and Kodiaq. It also comes with new indicator lights that flash in a sweeping motion, while the interior features a glass coated central console that displays which part of the engine is powering the car as it drives. Other new elements include new connectivity features, including digital services that help direct the car to empty parking spaces, and offer the car out for rental and car sharing when it is not needed solely by the owner. One other little quirky feature is a pair of electric skateboards stored in the boot. They are intended to help drivers nip across town for the last part of their journey, and Skoda has built storage for helmets and neck and back protectors into the car. The production version of the car, which is a rival to the Seat Arona and VW T-Roc, is expected to appear in 2019.